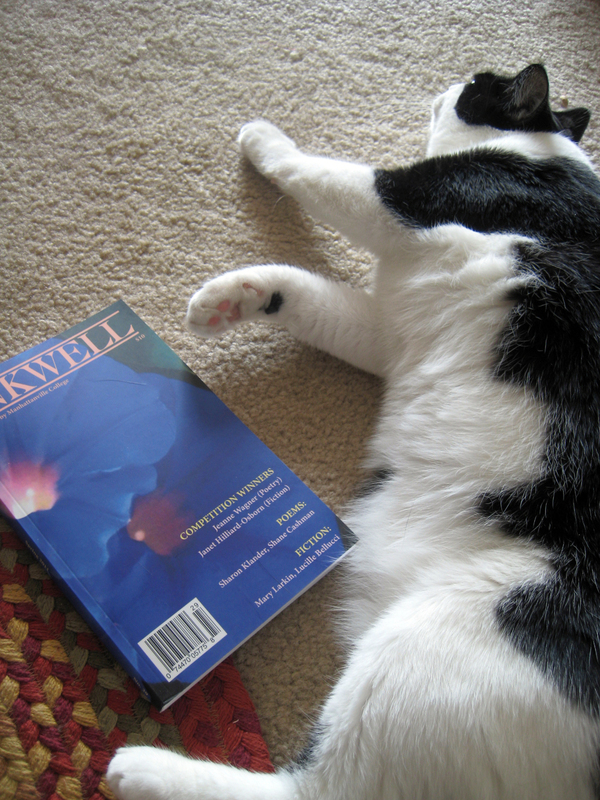 My short story “To Elizabeth Bishop, with Love” appears in the current issue of Inkwell. 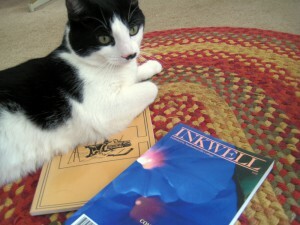 Here’s Cirrus lounging around with his copy. And that book he’s sitting on? Elizabeth Bishop’s Geography III. I’d like to point out that in our entire photo session, Cirrus never once tried to sit on the Inkwell issue. Either he knew I didn’t want my contributor copies to get messed up or he is just drawn to Bishop. Or maybe both. What can I say? I’ve taught him well: respect for literary journals and slavish devotion to Bishop. I thought of you today for the first time in years. I was in the doctor’s waiting room. The woman sitting next to me was called to her appointment, and as she stood up to go, she dropped the magazine she had been reading on the table by my elbow. The moment I saw that yellow-bordered National Geographic I thought of you, Elizabeth, and I’m not ashamed to admit it. It was like coming home after spending years away. What do you read on lazy afternoons? Why do I continue photographing Saucy with lit mags when she’s clearly disinterested? Isn’t Cirrus’s black and white border line just fantastic? What’s the last lit mag you read? Good grief, Laura! How can we mere mortals keep up with you? Congratulations! Cirrus, you’re a sweetheart, and you know how to strike the purrfect pose. But I’m inviting that saucy Saucy over for troublemaking! This cat cracks me up. You are both really too kind. Things might look shiny over here, but I assure you I’m often staring out from a hole of frustration and failure. Nothing new for any writer, of course. Though I can’t complain that I might be giving you an excuse to have an extra glass of wine, Teri. :) Have a great weekend! As for mags, we currently get Paris Review, NY Review of Books, Sonoma Review, and a misc. here and there. 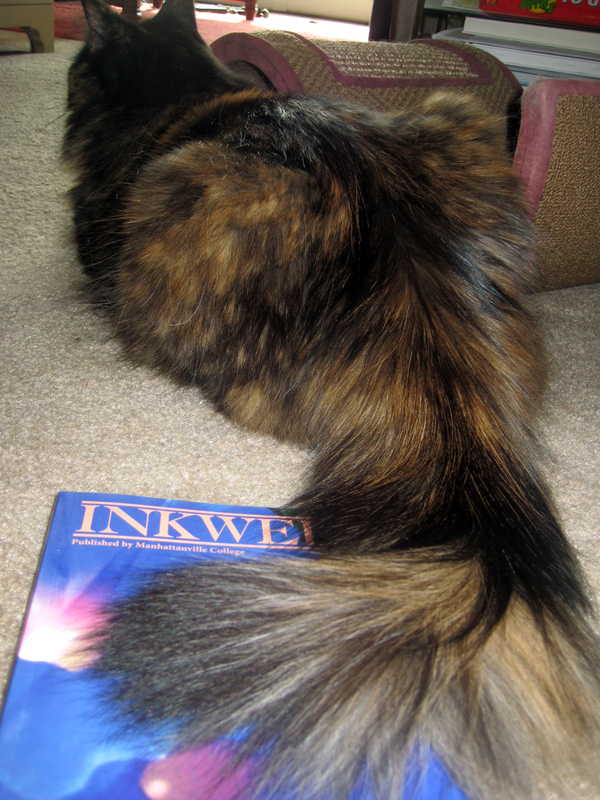 I love the tortie tail draped over the magazine. Those tortoiseshell cats have such a unique personality. Not big readers of lit. I hear they prefer scifi and pulp romances. Maybe that’s key to their longevity. 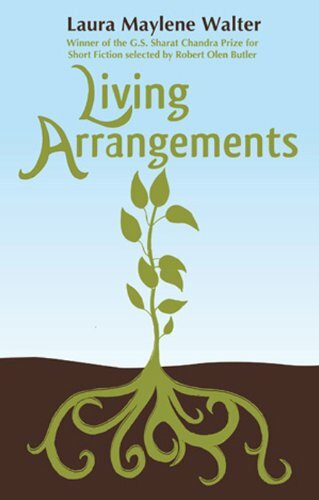 Congratulations on the publication of your short story! I don’t read literary magazines. I read Cat Fancy. It shows, doesn’t it? I will be looking for The Inkwell online now to see about subscribing.